Great news! Ekphrasis: Between Image and Word, the book accompanying the eponymous forthcoming exhibition at King Street Gallery, Carmarthen, Wales, is now ready, hot off the press, and available to order! Over the past few months, I have been collaborating with artist and painter Maria Pierides on an ekphrastic project. The result is Ekphrasis, the forthcoming exhibition at King Street Gallery, featuring 24 of Maria’s marvellous paintings together with my haiku responses to each of her paintings. A book of the exhibition will be available at the show. 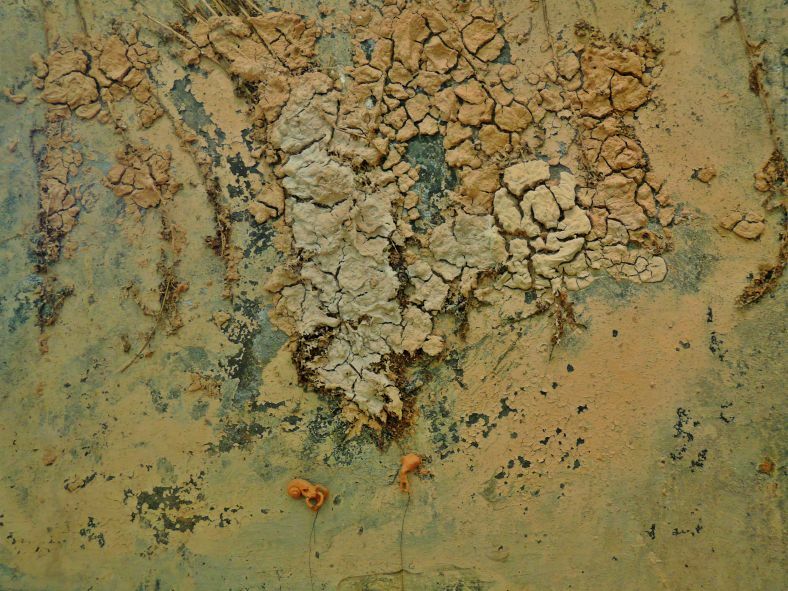 A new exhibition which opens on 27th October in the Chate Room, King Street Gallery, showcases a dynamic new collaboration between painter Maria Pierides and poet Stella Pierides. “Despite having been showing at KSG for less than a year, Maria’s work already has an extraordinary following at the Gallery because of its unique emotional impact. A private view takes place at King Street Gallery on Friday, the 27th of October from 5:30 to 7:30 pm. Maria and I would be pleased to see you there. 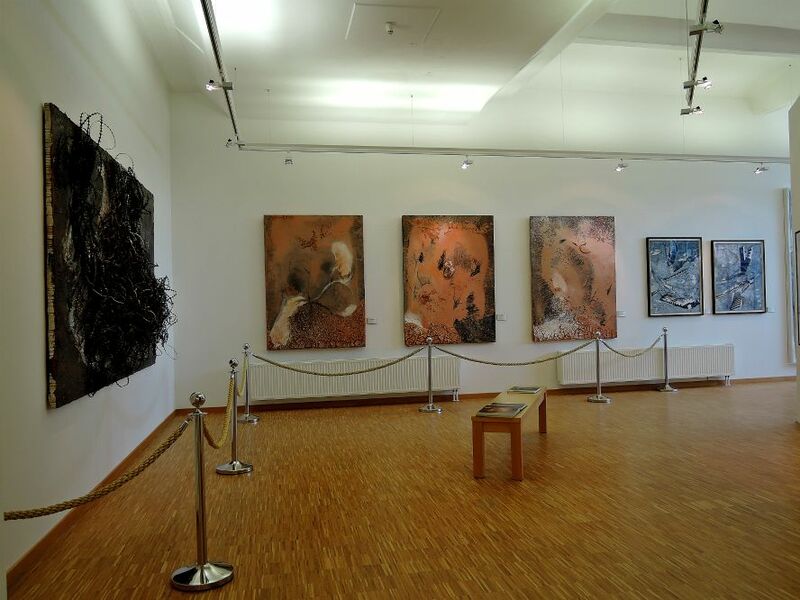 The exhibition runs until 16th Nov. Recently I visited the Frank Auerbach display of 15 paintings and 29 drawings at the Tate Britain, selected by his fellow painter and friend, Lucian Freud. The collection was offered by the Lucian Freud estate, and accepted by the British Government, in lieu of inheritance tax. 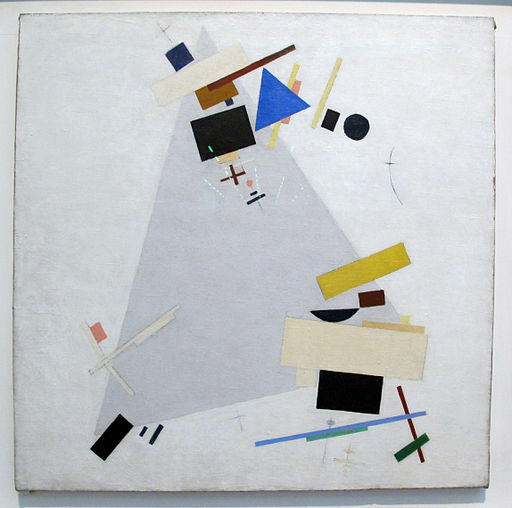 The group of paintings is of international artistic importance and a good ’teaser,’ anticipating a major Tate retrospective planned for 2015. A fine group of works, including one of my favorites, Rebuilding the Empire Cinema, Leicester Square, 1962. What a fantastic, bold show of both, imagination and brushwork, deep feeling and insightful depiction of psychologically layered scenes. The same subjects — Julia, his wife; Estella, his mistress; Jake, his son; Mornington Crescent — visited again and again, let the viewer get intimately acquainted with, as well as intrigued by them. Born in 1931 in Berlin, Auerbach came to England in 1939 and has lived and painted in London since. 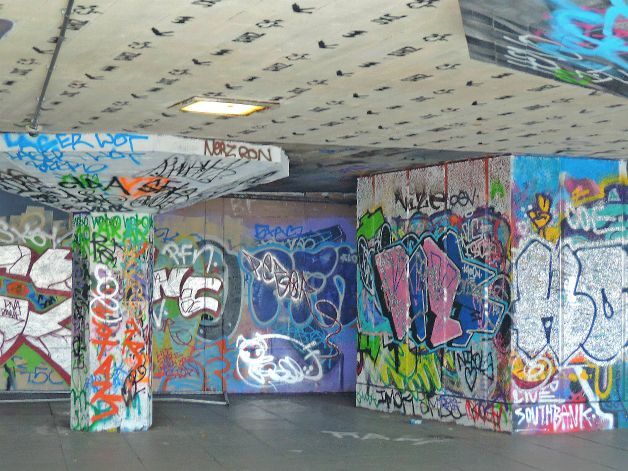 A London painter, and a painter of London, Auerbach has gone under the skin of the capital, making it the prime set of his work. If not Auerbach, then who else captures the energy and multifarious burdens carried by London’s inhabitants so realistically? Well, here’s food for thought. When reading haiku, what is it that attracts you as a reader? What makes you click with one poem and leaves you indifferent towards another? Which qualities speak to you? Might one draw a parallel between ‘picking’ haiku and beachcombing? 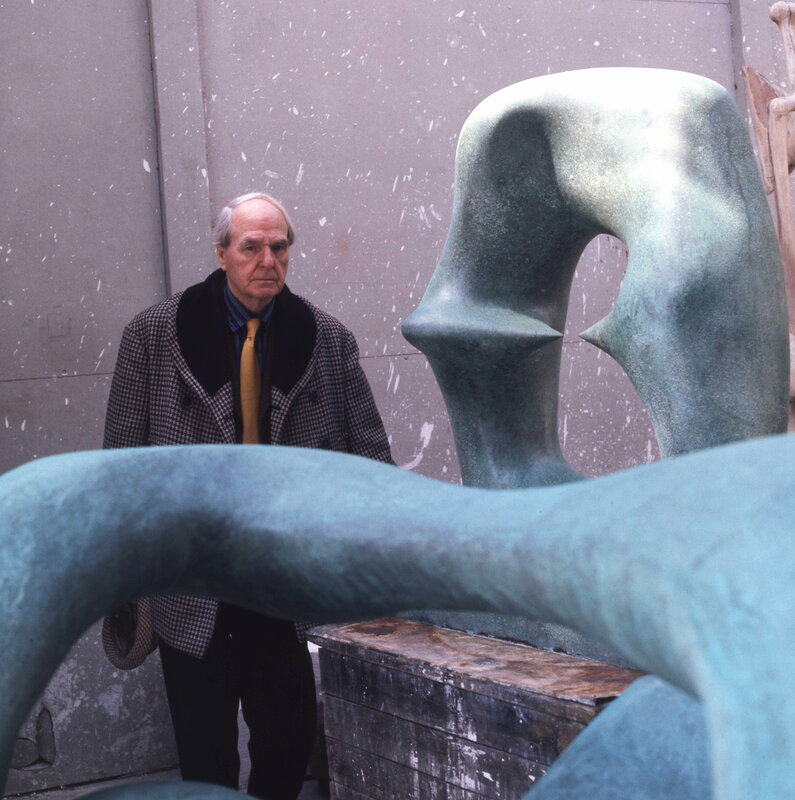 Let’s take as an example Henry Moore, the English sculptor (1898-1986). Moore, famous for his monumental semi-abstract sculptures dotted in the landscape all around the world, was inspired by nature. During his walks, he collected stones, shells, driftwood, animal bones, rocks, that he brought back to his studio and kept for inspiration. 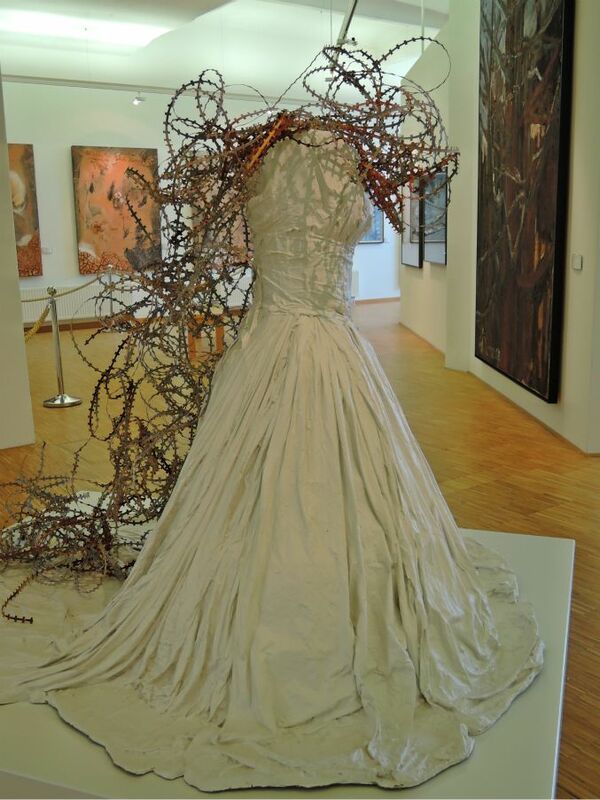 Some of these ‘found’ objects were singled out as art objects by his artist’s eye, and transformed into works of art. Others became favorite objects to go back to with new questions, kept for inspiration. Like a super-spectator, super-audience or super-reader, he saw the value(s) residing in the shapes, form of sticks, rocks, and stones, picked them up and brought them in from the cold world into his art studio. In a sense, as writers, we have something in common with Moore and his walks. Through the day, we gather experiences, pick up some in words, discard or ignore others. As readers too, we collect from our walks round the social medialand, from our reading journals and books, from our discussing topics, poetic thoughts or experiences, from the walks in nature and through the cityscapes surrounding us. From another perspective, appreciating haiku as a crafted, rather than a natural, object may be more akin to appreciating paintings or sculptures on a gallery visit. Works of art hang on gallery walls, are placed in gallery rooms – like haiku sit on the pages of journals and books – for us to observe and mull over; we stand in front of them, around them for a short while, then move on and walk through the rooms – pages – quickly, too quickly often. 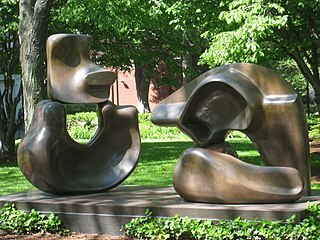 Henry Moore’s huge sculptures standing tall or reclining in the landscape demand our attention; whether we see perfection in them or the unruly shapes of our innermost selves, something in them appeals to us as viewers. And while we cannot pick them up physically, they come home with us. So it is with haiku, I believe. Which one speaks to us, creates a reaction in us, which one we pick to remember, to give it a home in our hearts, depends on many factors. Something in it, in its shape, depth, sensory and sensual appeal resonates with us. There is a personal, familial, local, national, global, colonial, post-colonial, feminist, literary, yet to be named perspective(s) each of us carries, treasures, contributes to and responds with to the world. Often more than one. Hopefully more than one. Naturally, we all differ in our perspectives, ideologies, in our poems, in our choices of haiku. And so in our lives as readers, as well as writers, armed or rather blessed with a variety of sensory and psychological receptors – some uniquely personal, others shared by the whole species – we pick poems that offer us the chance to recognize, come to terms with, or celebrate one moment from the river of our experience, one splinter from the tree of our lives; to reconnect with our humanity and to nourish our being. So which haiku ‘receptors’ do you use? How do you like your haiku? Let us know here. It would be good to hear your take on this. Kacian, Jim: Tapping the Common Well, in Bones: journal for contemporary haiku, Issue 1, December 15, 2012. I was delighted to be invited by Colin Steward Jones to guest-blog for the Scotland based Gean Tree Press. 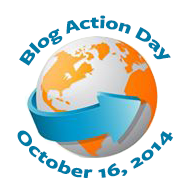 Since its inception, its blog, Haiku Matters! has been a hotbed of intellectual storm, liberal thinking, and wisdom… all about haiku. I posted my first, introductory guest blog post on Haiku Matters! today! More to come soon, as I’ll be blogging for the whole month of May. On the menu: a walk or two, a bit of reading, playing with a couple of wild and not so wild ideas, reaching out to and from other genres, while touching on issues relating to the reader all along. Our reader, ourselves as readers, other poets’ readers. I visited Ai Weiwei’s sculptural installation Sunflower Seeds at Tate Modern just after they stopped the public walking through the field of seeds at the Turbine Hall. Like many others, I found myself feeling disappointed. The seeds looked beyond my reach (I had looked forward to walking on them, listening to their crunching sound), and pale compared to those in the pictures I had seen. A message in front of the installation explained that Tate had been advised that interaction with the installation (such as visitors walking on the seeds) could cause dust to be emitted which could be dangerous to health. I stood in front of the pale mass of more than one hundred million seeds on the floor feeling lost, thinking that had they glazed the seeds, I would now be walking on them! At the same time, knowing something about clay, I could understand the concern. So there I was, standing perplexed and disapointed, being faced with a case of dust to dust, or rather, dust, clay, ceramic seed, dust, with a short interval in between. Then my eye caught the video screens right next to the seeds, and my whole experience took another turn! 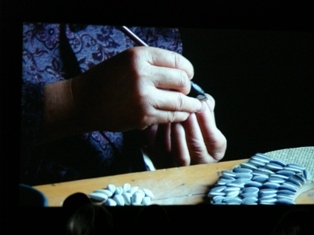 A fab-fun-fantastic video tracing the creation of the seeds – from the mixing of the clay to the forming of the seeds, the painting and firing and selecting the best seeds – the stories of the craftspeople in it were engaging and the colors, the scenes both breathtaking and remarkably informative. I loved the idea of the amount of co-operative work that went into producing the installation. 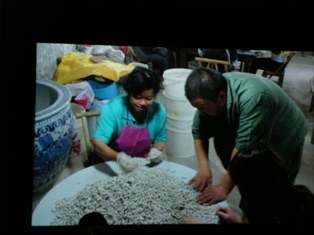 A whole community – more than 1600 people of Jingdezhen, a Chinese city with 1700-year-old history of porcelain manufacturing: it is known as the Porcelain capital – was involved in creating something together (the porcelain seeds), something that gave them employment, as well as purpose and community spirit. If the sunflower seeds symbolize the people of China, as suggested, then these symbols have been lovingly created and treated with respect. Standing there, in front of the video images, next to the seeds and the playing of the visitors’ videos, it occurred to me that the Tate installation consisted of the seeds and the video together. That they were inseparable. No, more than that. That the seeds, the video, the dust, the message about the danger from clay dust (after all, which potter/ceramic artist has not heard of this hazard? ), even the interactive videos made by visitors to the Gallery addressing the artist Ai Weiwei, all were part of the same installation! After all, Ai Weiwei is an interactive performance artist, merging life and art. I still believe that this is the case. Even if unintended, unconscious, a chance happening, I think even retrospectively, the lot belongs together. In an article “From Seeds to Dust” Ulara Nakagawa alluded to the dust possibly belonging to the installation. I consider the Seeds installation as offering the possibility of a total/comprehensive/whole art work, where the art object consists of multiple layers: tangible visible object(s), sound, video, text, interaction with the artist, and an ongoing archiving of the viewers’ experience and thinking in their communication with the artist. After all, the Tate tells us: “…what you see is not what you see, and what you see is not what it means.” Well done, Ai Weiwei!